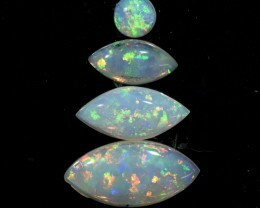 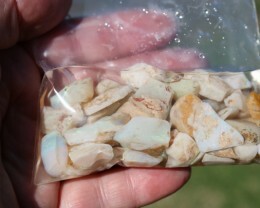 This is a white opal mined in Lightning Ridge, New South Wales, Australia. 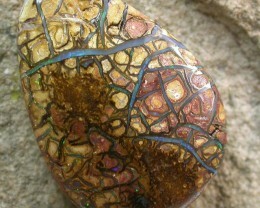 This stone has been cut and polished to bring out the amazing play of colour that is typical of this stone. 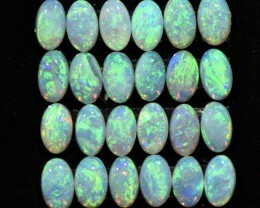 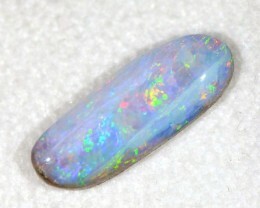 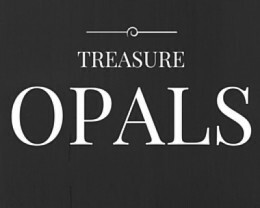 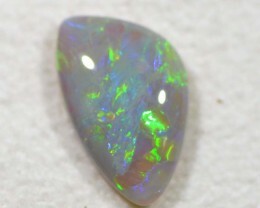 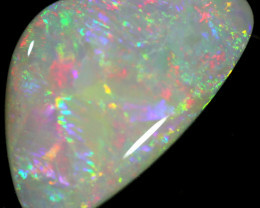 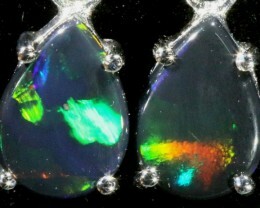 Lightning Ridge is famous for Black Opal, but it also produces opals with a light body colour such as this one.